7 feet tall, life-size. Stainless Steel Mane. Original. Although very deliberately composed of ridged weighty materials, Cranford’s sculptures have a sense of fluidity, movement and grace. 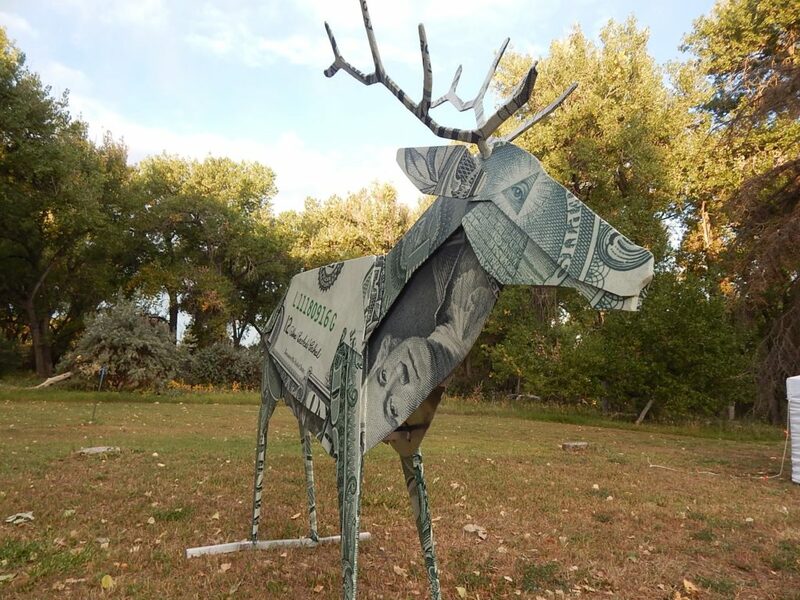 His technique allows him to articulate and build monumental figurative steel or aluminum sculptures that have realistic expression. Cranford has used the horse to skillfully capture the power and essence of the horse in a sculptural form. Freezing it in time, mane flying, muscles bulging, ribs tensed and protruding. Flanks hard as steel. In fact, they are steel, forged, hammered and shaped by the hand of Dwayne Cranford. 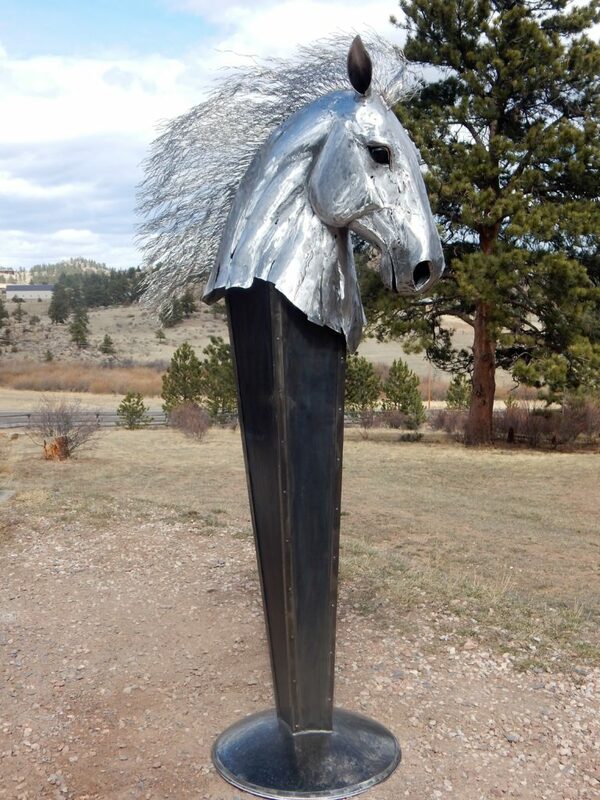 His inspiration is derived from his treasured childhood growing up with horses in Colorado. Cranford has been sculpting since the age of 8, but now works on a monumental scale. 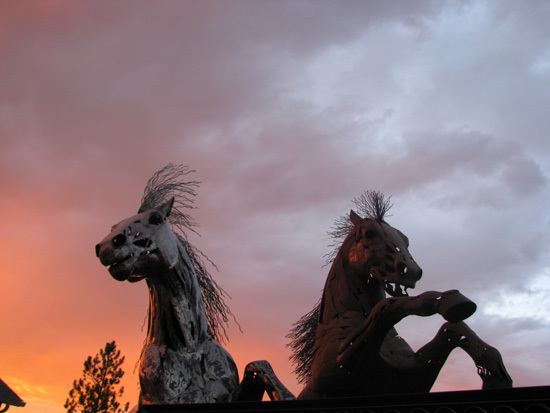 A life-sized horse sculpture can take upwards of 6 months to create. 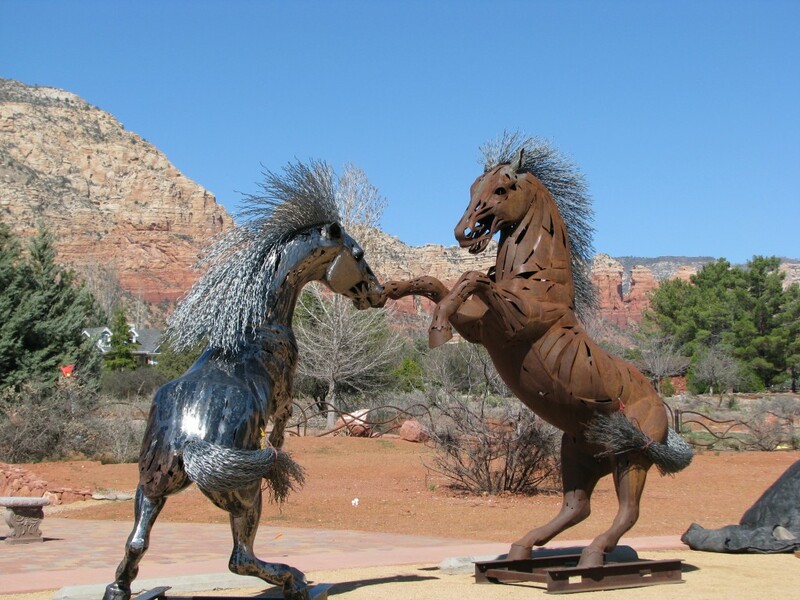 An 11 foot horse weighs in around 800 pounds and the mane and tail consist of over 200 feet of galvanized cable. Cranford’s work is represented in several public collections across the United States. 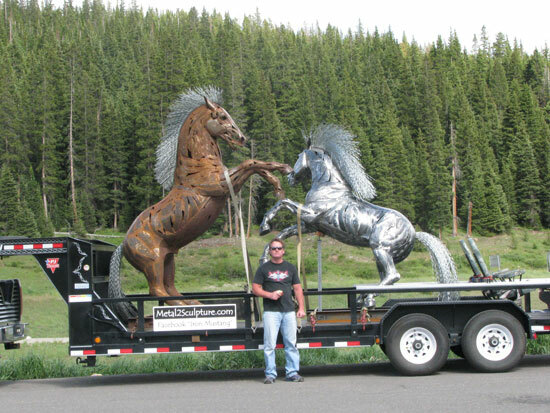 A recipient of numerous awards and has exhibited at some of the most prestigious art shows in the country such as Loveland Invitational Sculpture Show CO, Aspen Fine Art Festival CO, Beaver Creek CO, Carefree AZ, Bayou TX, and Frisco CO.
“Rusty & Chisel” on the trailer. Rusty is rearing up, and Chisel is charging towards him. 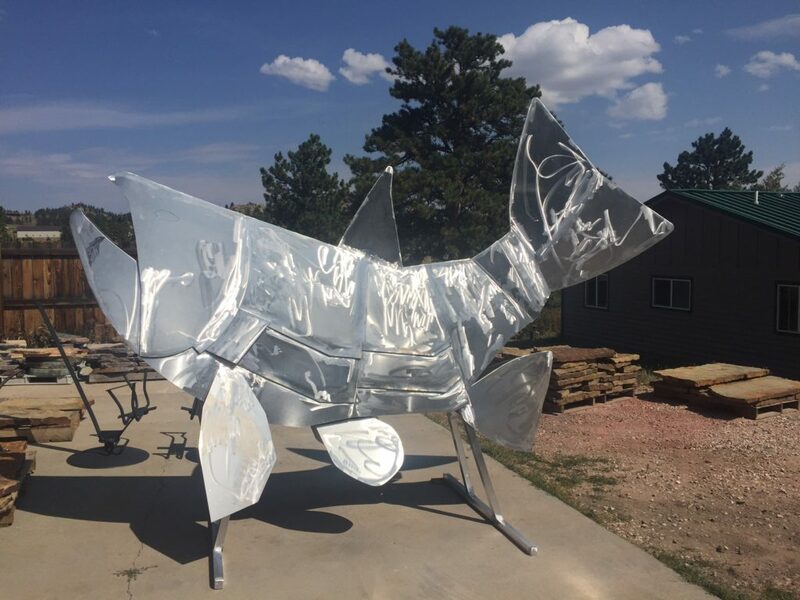 They are one-of-a-kind pieces made of 1/8″ sheet steel. All cold forged and hammered out piece by piece, then welded together to shape the sculpture. Rusty has a beautiful rust patina and Chisel has a thick clear powder coat on her and will stay shiny. *Ask us about our corporate payment plan for schools, businesses and other large organizations.